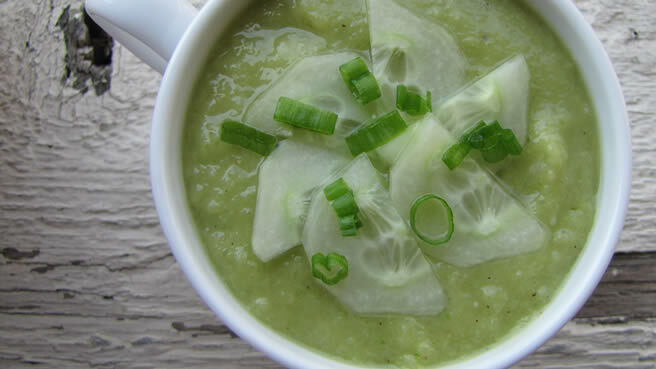 Also known as Green Gazpacho Cold Soup, this is best served chilled or at room temperature. 1. Combine the melon, cucumber, onions, avocado, jalapeno and vinegar in a blender. 3. Add 100 ml of water and blend well until smooth. 5. Sprinkle pepper powder on top. 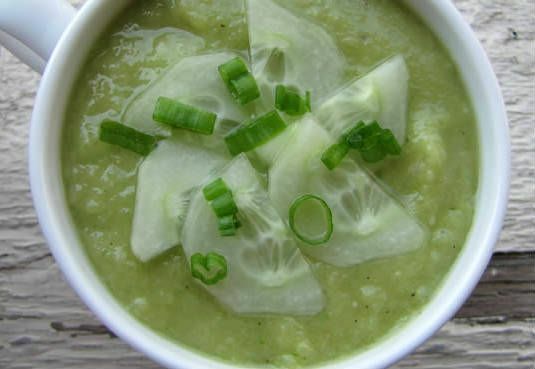 Feel free to comment or share your thoughts on this Cucumber Gazpacho Cold Soup Recipe from Awesome Cuisine.